DocCharge – Be productive again! Security beyond HIPAA, Practice analytic, Mobile charge capture, HIPAA compliant messaging, and Desktop Portal for billers. 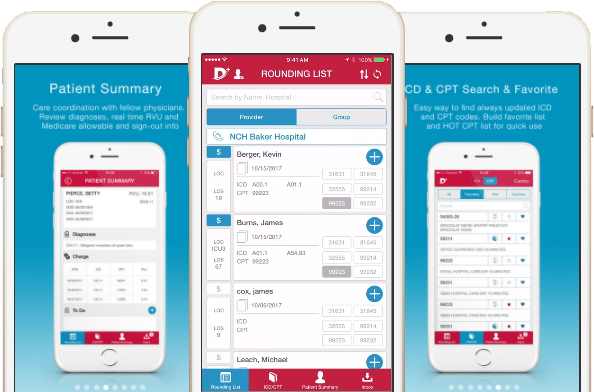 DocCharge is designed by a physician for fellow physicians, residents/fellows, mid-level providers to make them more productive. Practice Administrator and billing companies find the application very time-saving service. • Avoid errors & eliminate denials: Provides legible and accurate coding and charges and face sheets (value $36,000/year). • Track missing charges: Track daily charges in a single screen and “Missed Charges” feature allows billers find missing charges easily (value $25,000/year). ✔ Total RVU and charges (Medicare allowable). ✔ Enter daily charges in 10 minutes or less, using HOT CPT code or favorite feature. ✔ Search and favorite ICD 10 and CPT Codes. ✔ HOT CPT codes for easy charge entry. ✔ CPT-ICD Combo to avoid denials of surgery or procedures codes. ✔ Review and share patient sign-outs in a secured HIPAA compliant manner via app, text, or email. ✔ To Do or Follow-up List: reminder to yourself or sign-out to a colleague. 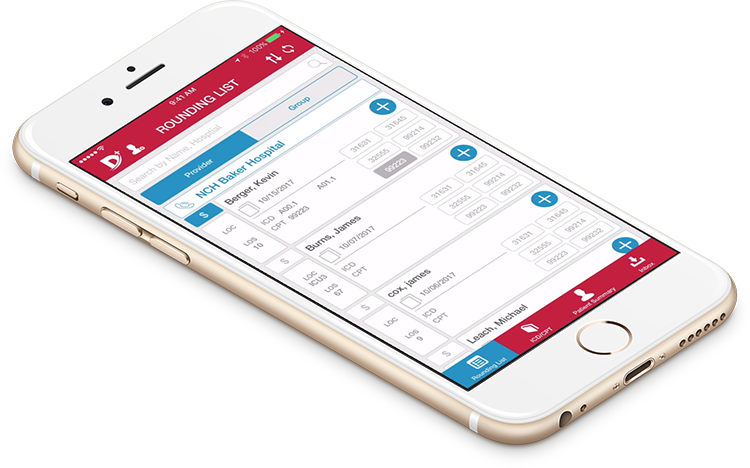 ✔ Charge entry and messaging interface for physicians and staff. ✔ Biller’s interface for reviewing charges, missing charges and face-sheets. ✔ Mobile technology using latest standards in user experience, security and encryption. ✔ Data transported over secure TLS connection using AES-256 symmetric-key encryption algorithm.